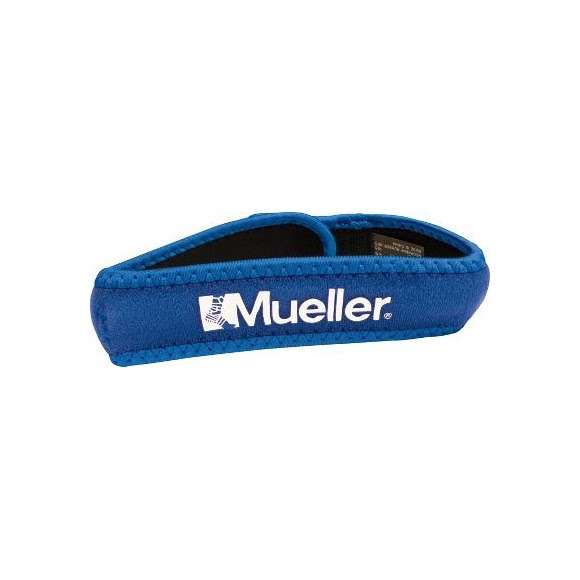 This adjustable strap from Mueller is designed to improve patellar tracking and elevation by applying mild pressure on the tendon below the kneecap. The tubular insert provides uniform pressure and helps provide pain relief from Chondromalacia (irritated kneecap), Patellar Tendonitis and Osgood-Schlatter's Disease. This adjustable strap from Mueller is designed to improve patellar tracking and elevation by applying mild pressure on the tendon below the kneecap. The tubular insert provides uniform pressure and helps provide pain relief from Chondromalacia (irritated kneecap), Patellar Tendonitis and Osgood-Schlatter&apos;s Disease. Fits 10” - 22” / 25 cm - 55 cm.